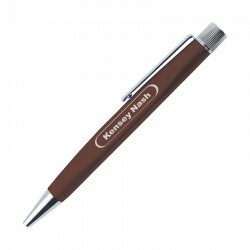 Writing There are 12 products. This uniquely shaped pen features a beautiful matte finish, stunning available colors, and a large area for your logo. Now available for an incredible deal! Get an incredible deal on this personalized ballpoint pen with an ergonomic rubber grip. 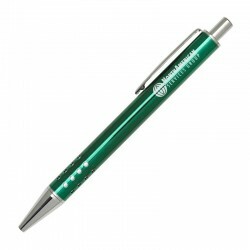 This solid brass pen is available in a variety of bold colors, and features round jewel accents on the grip. Take advantage of the incredible low price! 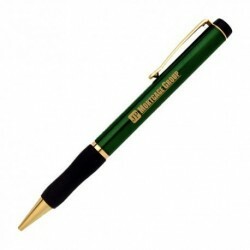 This brass pen has a unique triangle barrel and grip for ergonomic comfort, and is available for an incredible low price. 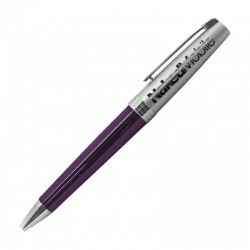 Get a great deal on this bold colored, personalized ballpoint pen. 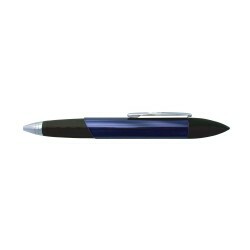 This personalized ballpoint pen has a unique shape and a metallic blue barrel, and is now available at an incredible low price. 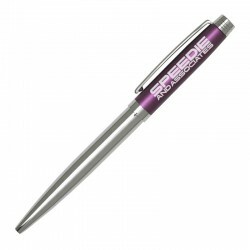 This aluminum triple-function pen features a ballpoint pen, a bright LED light, and a silicone stylus that can be used on any touchscreen device – and this pink version is available for an incredible low price. This twist-action brass pen combines a chrome-plated finish with a pink accented barrel for a refined look at an incredible price.